Lotus is not just a beautiful floating flower, the root has been used for centuries as a staple vegetable in East Asian cooking. It has a crunchy texture like water chestnut and a delicate flavour, also it’s rich in important vitamins and minerals. Deep-fried lotus root sandwich is a typical Japanese home-style dish, my mum often made it when I was a kid and I loved it. 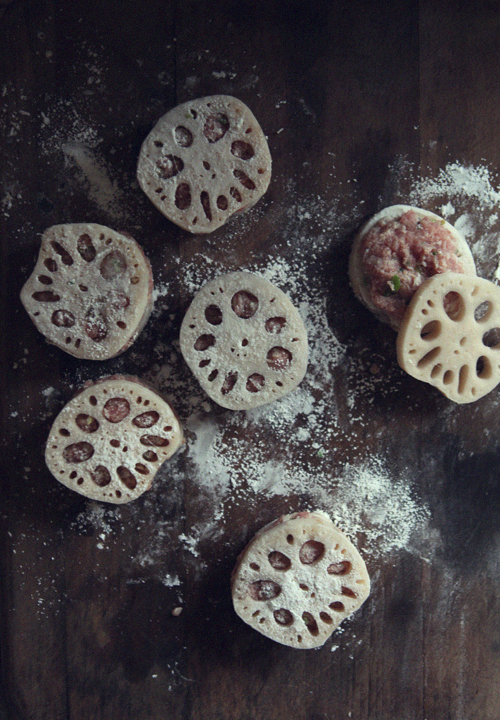 Peel and slice the lotus root into 1/4 inch slices and soak them in a large bowl of water with a dash of vinegar for 5 minutes. Place the pork mince, spring onion, grated ginger, sake, 1 tablespoon of cornflour, salt and pepper in a bowl. Mix well with hands until the mixture becomes sticky. Place about a tablespoon of the pork mixture on a slice of the routs root and put another slice on top. Press down to make a sandwich. Heat the oil to 340F/170C. Deep fry them until slightly coloured and cooked through. Place on kitchen paper to drain excess oil. 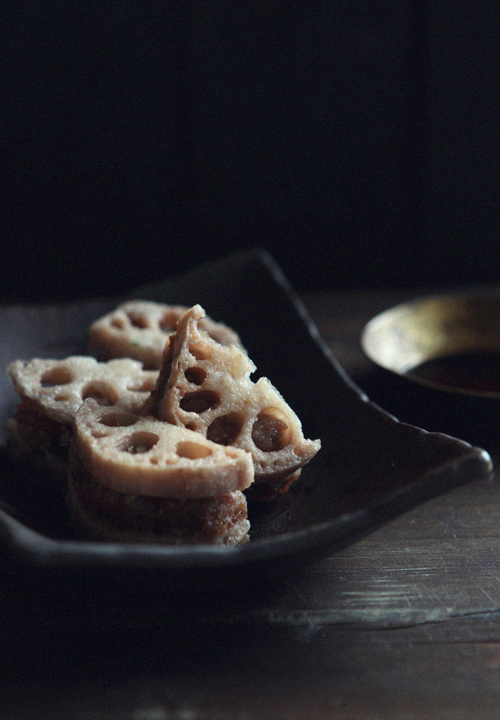 You are currently reading Deep-Fried Lotus Root Pork Sandwiches at Fish Trip Cafe.